Other researchers pursuing this goal have developed « ultralong » polymers that can diminish the outcome of an impact, resulting in cooler, shorter fires. However, ultralong polymers aren’t very practical because they interfere with engine operation, Kornfield notes. They also irreversibly break down into smaller molecules when they run through pipelines or pumps, losing efficacy. As an alternative, her team created polymers that can reversibly link up end-to-end via carboxylic acid and amine groups to form « megasupramolecules, » which are as long as ultralong polymers but don’t break apart in pipelines or pumps. The researchers, who created videos about the work, cofounded the startup company Fluid Efficiency to further develop the polymers and provide samples for evaluation to petrochemical companies, lubricants producers and pipeline operators. Results have been encouraging. 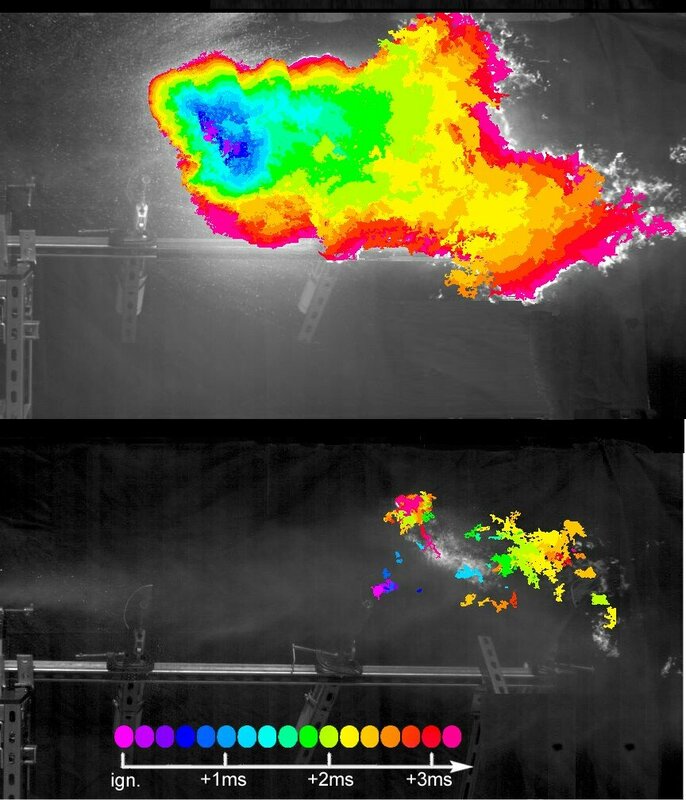 Misting was significantly reduced in fuel treated with the polymers, and after the fuel was ignited, the flame self-extinguished. A recent test suggests that megasupra-molecules added at a refinery or fuel depot would remain active after passing through more than 600 miles of pipeline and hundreds of pumps, Kornfield says, noting ultralong polymers would have lost most of their potency after 50 miles. « This is an important step toward providing an additive that could improve transportation safety for all users receiving fuel through a pipeline network without concern that protection was lost in transit, » she explains.